A couple of true modern classics were highlights of this week on ebay. 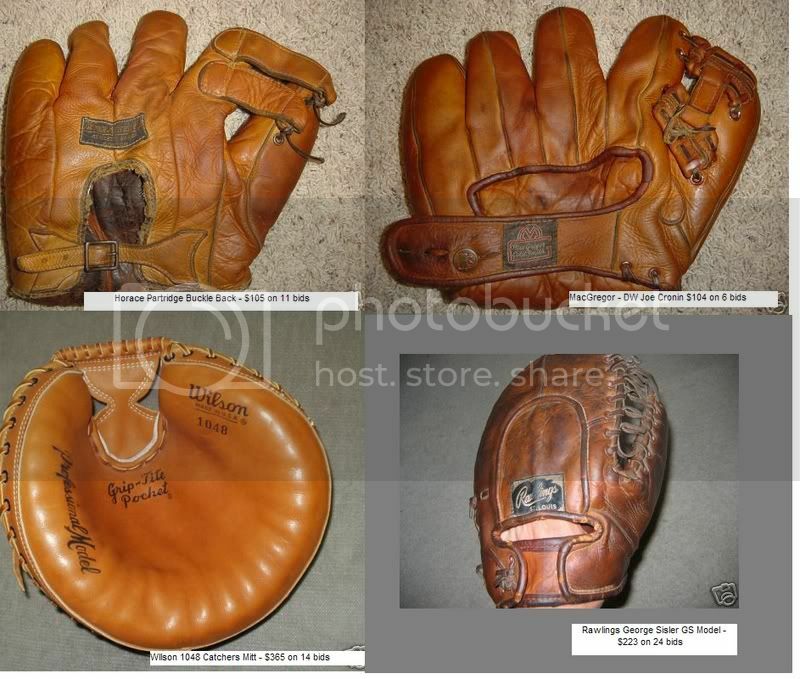 First and foremost, an immaculate A2000 brought 22 bids and a winning bid of $385. 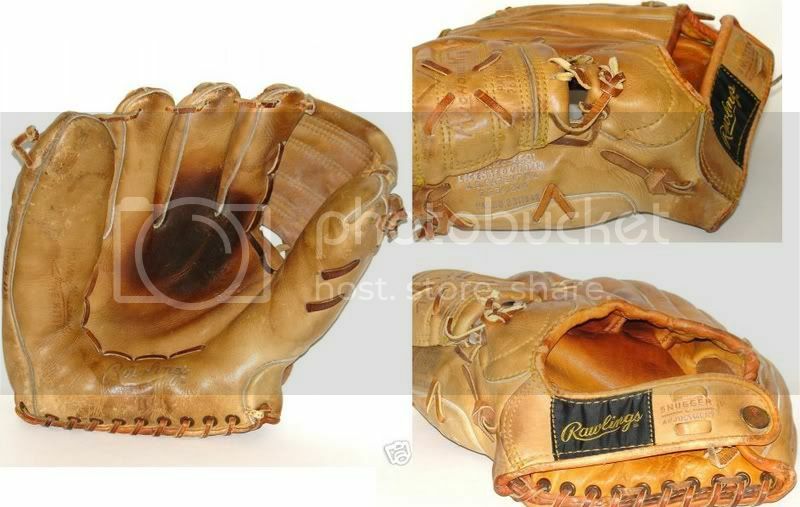 The great photos of this one clearly display the high quality leather of the glove. The price of A2000s never seem to surprise, only in this case, I thought it might go higher. The Rawlings HH Kitten model is always a highly sought after glove. This one features a fantastic black Rawlings patch and nice light tan leather. This Kitten earned $179 on 9 bids. If this one was a righty model, I suspect weâ€™d be looking at a price similar to the A2. And to top of a good week of gloves Iâ€™ve put together four other top gloves. I am looking for a good Horace Partridge and got outbid on this one. The webbing is my favorite part of this, and then combined with the buckleback it is a bargain at just over $100. I havenâ€™t owned an HP, are they as good as they look or is it just a figment of my imagination? The MacGregor Goldsmith is a classic design.